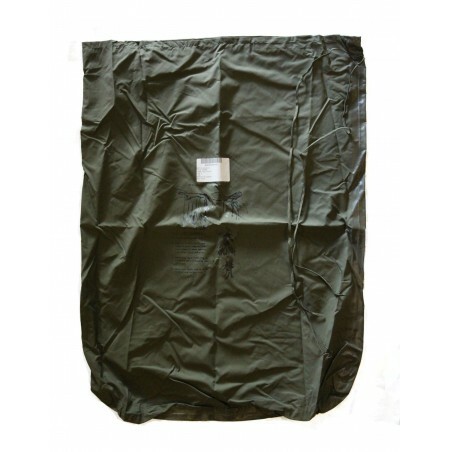 US Military Alice OD Waterproof Dry Bag Pack Field Pack Liner. New old stock military surplus. 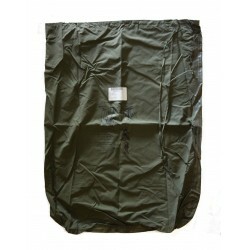 Official US Military Waterproof Field Pack Liner. Polyurethane coated. There is a smell from this PU coating/rubber coating. Do not wash these bags. Do not remove white label, it will pull rubberized coating off bag. Good for lightweight items such as clothing. Do not place sharp objects inside bag. Approximate size laying flat: 30" H x 24.5" W.